The number of Americans without health insurance shrunk by about 500,000 in the first three months of 2017 from the same period in 2016, according to a new report from the Centers for Disease Control and Prevention. The CDC found 28.1 million people or 8.8 percent of the population was uninsured in the first quarter of 2017. The dip from 2016 isn't statistically significant, when 28.6 million people or 9 percent of the population was uninsured, the CDC noted. The uninsured population has declined from 48.6 million people, or 16 percent of the population, before the Affordable Care Act or Obamacare passed in 2010. The coverage rate has stayed relatively stable in the last few years, according to CDC's data. The CDC based its estimates for the first quarter of 2017 from data for 19,846 people. But coverage rates are much higher in states that chose to expand Medicaid. In the first few months of 2017, states that expanded Medicaid had an uninsured rate of 8.6 percent for adults. States that chose not to expand Medicaid had an uninsured rate of 18.4 percent, the CDC's data shows. Since 2010, the CDC found the uninsured rate has dipped the most for poor adults and children. In 2010, more than 40 percent of people below the poverty line were uninsured. In the first few months of 2017, 23 percent of poor adults were uninsured. The downward trend in the number of uninsured people has proven difficult for Republicans in Congress to find a way to continue. 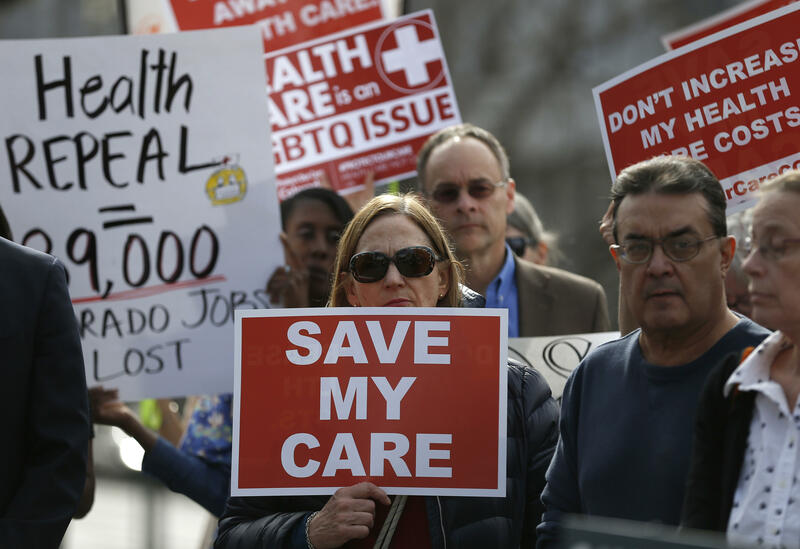 All of the Republican plans proposed so far have increased the number of uninsured Americans by at least 20 million, according to the Congressional Budget Office. Without the CBO's figures in their favor, Republicans have dismissed the scores as unreliable or misleading. in July, Speaker of the House Paul Ryan said a CBO finding that one Senate GOP plan would lave 22 million more people uninsured, "bogus," saying, "it's not that people are getting pushed off a plan; it's that people will choose not to buy something they don't like or want." President Trump has blamed Senate Majority Leader Mitch McConnell, among other top Republicans, for the failure to repeal and replace Obamacare. But as Congress returns next month, facing a debt limit and decisions on funding for Hurricane Harvey damage in Texas, the chances of reviving the health care debate look slim.